Sufficed though fallen from heaven, to bring down heaven on earth! 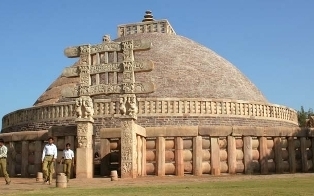 Poorva Megha - 32 "Meghdootam"
This is the beautiful description of the Pradesh in the 4th century AD classic "Meghdootam" by legendary Sanskrit poet Kalidas. 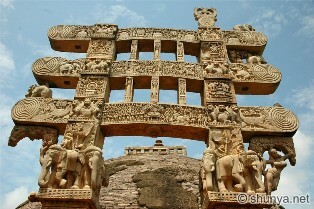 Such is the beauty of Madhya Pradesh that has been attracting travellers since aeons. 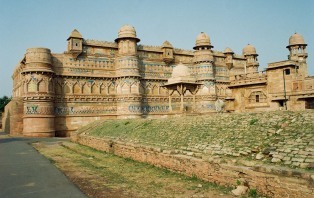 And the present Madhya Pradesh has not only maintained its pristine beauty as it was years ago but has also added a great deal to it for today's travellers. Its natural settings beautified by hills, forests, rivers, rich heritages, exciting wild life and cultural diversity make it a land of many splendours. 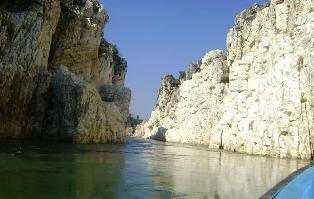 Madhya Pradesh is resplendent with the hill ranges of the Vindhyas and the Satpuras and is green throughout. The landscape is made lucid by its rivers, whose names have the sound of water in them - Narmada, Tapti, Shipra, Betwa, Chambal, Sone and many others, carrying their own legends and history with them. 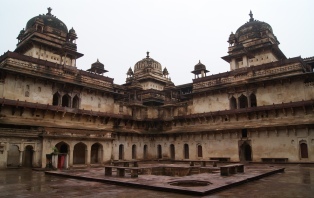 So interlaced with meandering rivers, hills, lakes and forests, Madhya Pradesh has a varied natural setting of mesmerising beauty. Jungles are opulent here and have a unique and exciting panorama of wild life. Bandhavgarh in Rewa district has hoisted to world fame for its phenomenal and solitary asset : the white tigers. National Parks of Kanha, Bandhavgarh, Pench, Shivpuri, Panna and several others offer rare opportunities to have thrills of viewing life in them. The state has celebrated the golden jubilee of its existence in the year 2006 but it is as old as hills, witness to many civilizations. 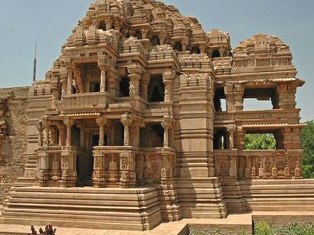 History has dotted it with distinguished marks in the shape of numerous monuments, right from rock shelters to exquisitely architectured Forts, Palaces, Temples, Stupas and innumerable other monuments. 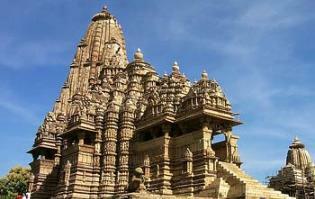 Here is a look at some magnificent places which make Madhya Pradesh glitter on the Tourist map.